Research shows that we spend more of our waking hours in our kitchen than in any other room in the house! With so much time spent in one area of your home, it’s important to update this space with a classy, comfortable look that suits your unique needs and style. Custom cabinets are a great way to add to your kitchen remodel and update this space. With so many different kitchen cabinet options out there, you will want to consider some important factors before making a selection. When selecting cabinets that work well in your home, it is important to consider how much space you can dedicate to your cabinets. This part is especially important to consider if you are on a tighter budget. If you have a lot of room for cabinet space but a lower budget, you will want to consider a less expensive, simpler design for your cabinets. It’s also important to choose cabinets that provide you with enough space to fulfill your storage needs. If you have enough room in your kitchen for cabinets with an extra inch or two of depth, it makes all the difference when it comes to storing your larger pots and pans. You may want to work with a professional designer for this step to learn more about your different cabinet options. Choosing the right material for your kitchen cabinets can be a big task! Cabinets make a big style statement in your kitchen and the doors, drawer fronts, and side panels come in a wide variety of options and prices. When considering cabinet material, you will want to carefully select something that works well with the overall style you would like to bring into your kitchen. Among the most popular types of cabinetry wood are maple, oak, and cherry. Once you have chosen your type of wood, you will have virtually limitless options to change the appearance with paint colors or stains. Choosing the right kitchen cabinet design and material is no easy task! That’s why there’s people out there to help you. In order to choose the right cabinet style for your space, you will first want to consider the look you are going for. Would you like your kitchen to have a more traditional feel or are you into sleek, modern designs? If you have decided to go with a modern kitchen, you will want to choose cabinets that have simple edging and design. You will be happy to know that this style of cabinetry is often easier to maintain because dust is less likely to get caught in smaller crevices. If you would like to go with a more traditional kitchen, you will want to choose cabinets that have deeper, more detailed edging. This look will give your cabinets more depth and character! Lighter colors are known for making spaces appear more open. If you would like to brighten up your kitchen space or if you are working with a smaller floor plan, you will want to consider choosing white cabinets. If you have plenty of space in your kitchen and you would like a deep, rich, luxurious feel, you will want to consider choosing a dark-toned wood. When choosing a darker toned cabinet material, you should keep in mind that darker colors tend to become more of a focal point in a room. When it comes to maintaining your kitchen cabinets, some people prefer a material that means less upkeep. If you are one of these people, you should consider choosing a door style with minimal detail. Raised panel cabinet styles mean slightly more upkeep because they have edges and nooks where dust can cling to. If you are looking for a simple, less detailed cabinet design, you will want to check out shaker style and slab door front options. You will want to opt for flush cabinet ends that match together seamlessly to avoid edgework that catches dust. For modern kitchens, choose simple, flat surfaces with little or no raised edges or detail work to avoid dirt and dust build-up. For traditional kitchens with deep edges and raised paneling, choose a material with a glaze. This helps fill corners where dust can hide and darkens the surface so you can’t see dirt). 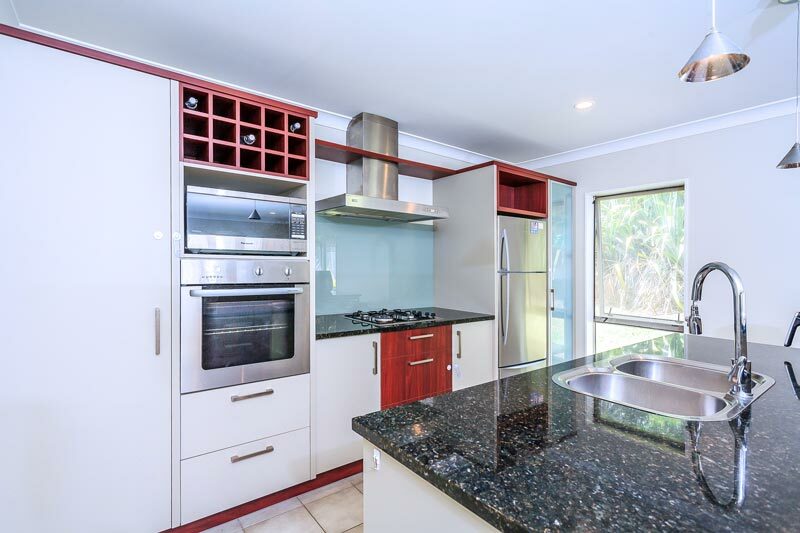 For more additional factors to consider before choosing the right custom cabinetry for your kitchen, contact the professionals at Superior Renovations Today.